LOOKING FOR YOUR ULTIMATE AUTHENTIC STYLE DNA? Would you like to understand how your personality influences all your style decisions such as why you wear what you wear, where you’ve been going wrong, and how you can use your style to always express your true self? Finding your unique style can be tough. You’ve read, heard and seen fashion advice from all quarters and you’re still feeling lost. Stop the madness and discover your Style Type now. 16 Style Types is like no style philosophy you’ve ever seen before. Based on two years of extensive research into the correlation between psychological type and style, wardrobe and shopping preferences, it is a world-class world-first. True style starts with the inner you. Discovering your Style Type will uncover the essence of your style, the inside story from which all great style expression flows. Is this you? Frustrated because you can’t figure out where you keep going wrong and how to fix it? Help is at hand. It’s time to discover your unique, true style. Take our Best Fit Type Process now to discover your Style Type and download your Style Type Report. 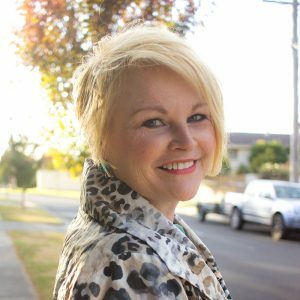 This program has been created by world-leader in the field of psychological type, Jane Kise, internationally certified image consultant Imogen Lamport, and globally experienced facilitator and coach Jill Chivers – discover more about us here. My report was amazingly accurate! Did you get into my head and read my thoughts?? Wow! what an incredible amount of insight. Thank you! This is a fabulous report – very descriptive, insightful, informative, interesting and easy to read. I would recommend it to other women. The style strategies are very helpful, and it has added something invaluable to my understanding of both my personality and my style. I’m amazed! My style report is extremely thorough and very much reflective of me. With any type of profiling, I believe that it’s almost impossible to connect with every single statement and to have such resonance over a detailed report like this is just brilliant. What an eye-opener! I would highly recommend this to other women…my dear friend is an INFJ and I cannot wait to share this with her because I know it will unlock the door for her as well as myself in figuring out why we are stuck! Already know your psychological type? Unsure of your psychological type?